You could be forgiven for not seeing much happening in this photo. But looks can be deceiving… Hiding behind this humble and signless façade, at 2821 Ocean Park Blvd. in Santa Monica, is the Westside’s newest and much-anticipated Vietnamese restaurant Blossom, that I first told you about back in April. 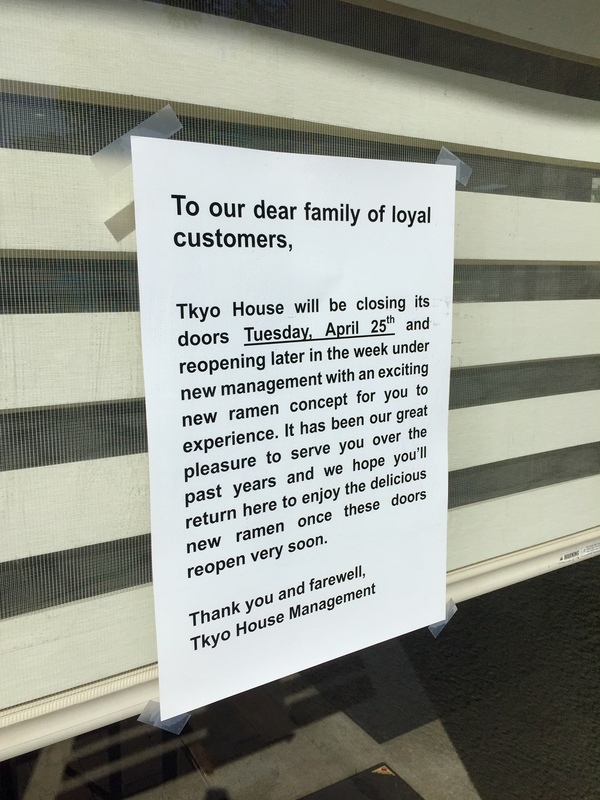 You’ll be pleased to know that they are now open and dishing noodles Monday through Saturday for lunch and dinner. 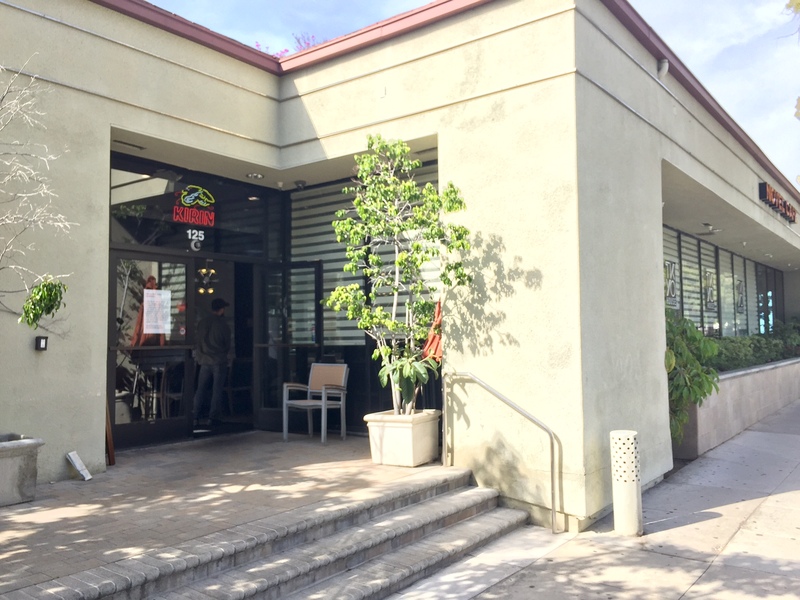 Blossom Bringing Vietnamese To Santa Monica? I only just noticed that there’s an ABC application posted on the front of the space at 2821 Ocean Park Blvd. in Santa Monica announcing that Vietnamese restaurant Blossom is intending to move in. But since the application was apparently posted late last year, absolutely nothing has been touched on the space. I’m not sure what the hold up is (I’m looking at you City of Santa Monica), or if they’ve changed their minds, but until we know more, you can locate their three other locations and try to figure out their inscrutable website here. 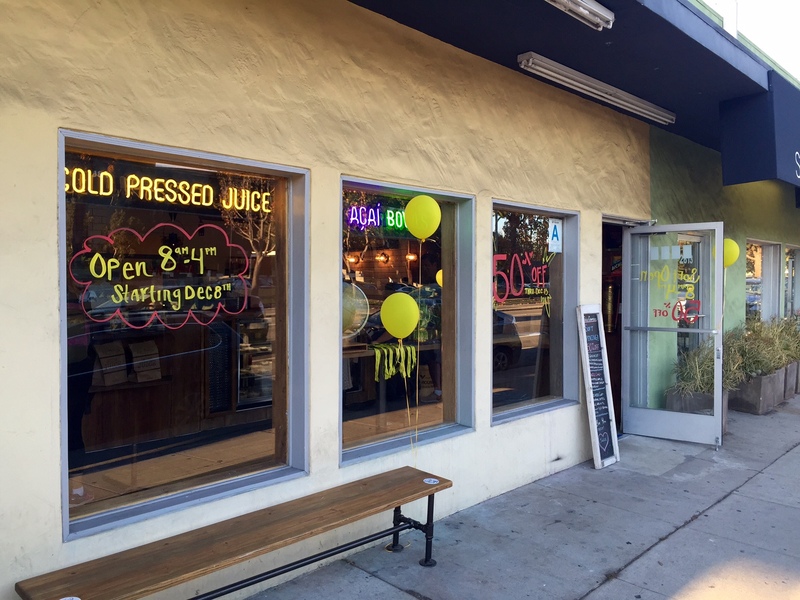 The cold-pressed organic juice craze continues its inexorable conquest of the Westside as evidence by the expansion of local chain Juice Crafters into the storefront at 2811 Ocean Park Blvd. in Santa Monica. 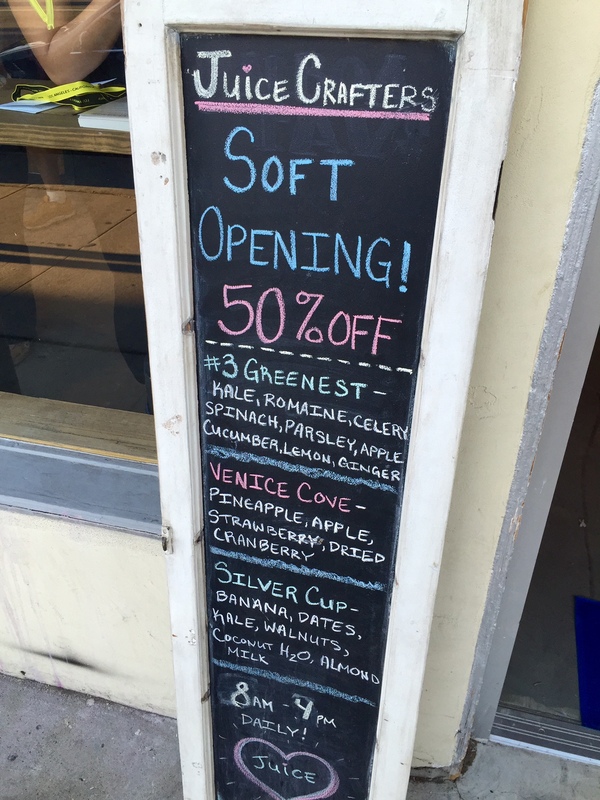 Still in their soft opening, you can get 50% off through this Saturday. Read more about their menu and find other locations here.